Read Aloud - Take turns reading aloud with your child. Even for adults, reading out loud helps to improve text comprehension and speech fluency. Another idea is to listen to audiobooks which are handy during stagnant stretches of time (e.g. in the car or waiting room). Quality Over Quantity - Reading quickly rushes the complex mental hoops that a person’s brain must jump through. Experts encourage both adults and children to read at a slow and steady pace to boost comprehension. When reading is done at a furious pace, many of its benefits (e.g. vocabulary building and meaning comprehension) are lost. Write, Journal, Compose - Encourage your child to keep a reading journal or to simply write freely. Writing and reading go hand-in-hand and exercise the brain in similar fashions. Fostering the connections between creating words with sounds, and creating meaning through words, is very impactful when children are honing their reading skills. The same is true for adults. Discussion - When reading with your child, pause for a discussion. Host a book club meeting for you and your child to talk about the characters and events of a story. Engage in a conversation about the actions a character took, situations that occurred within the book, etc. Talking about a text helps to determine reading comprehension, test memory and vocabulary, and also helps children become more equipped to engage in academic dialogue, prepping them for higher education. Make Time - Schedule a designated reading time for you and your child each day. Lead by example and ensure that your child can see you actively reading. 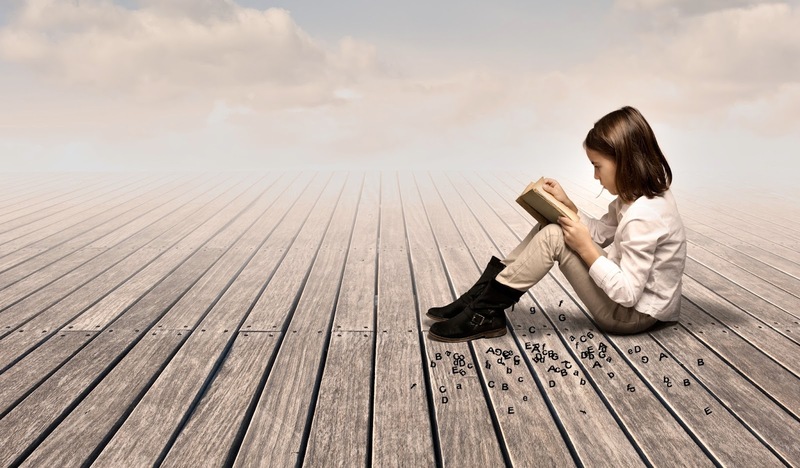 If you establish reading as a habit, your child’s interest and ability will increase over time.